Sometimes school can be scary and even embarrassing, but not today. Today is Birdie's birthday, and everything will be perfect! Birdie's panda-riffic cupcakes are beautiful, and there's one for everyone. She will be the star of the class. But then...disaster! A trip and fall on the way to school means no more cupcakes! Who can save the day? Who can make the class smile again? 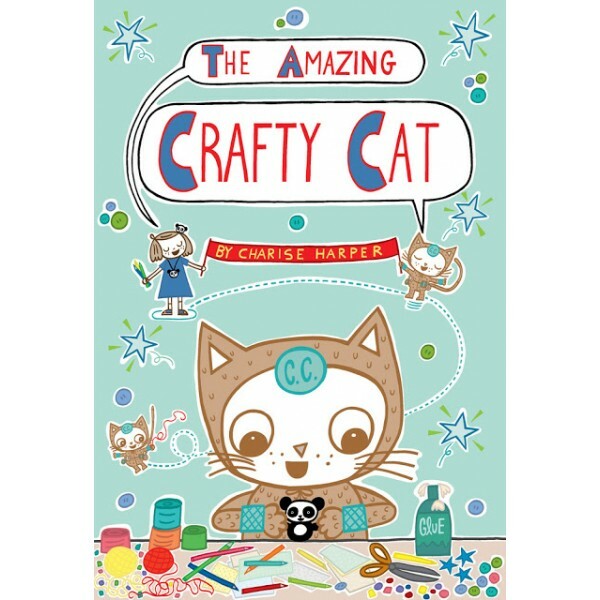 This is a job for Birdie's alter ego: the Amazing Crafty Cat! After a quick transformation, Birdie is ready. She's not afraid of sticky paws or paper cuts. She's not afraid of anything, even Anya, the class bully. It's time to get crafting! 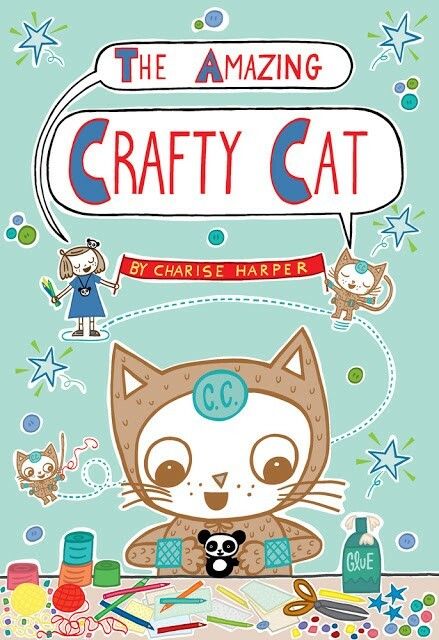 From Just Grace and Fashion Kitty author Charise Mericle Harper comes the first volume in a hilarious, charming, and sweet graphic novel trilogy for young readers about a little girl who can craft her way out of any situation. Each volume includes fun and simple instructions for do-it-yourself crafting activities. Get your paws ready for crafty time!